This is a photo of my mum's hair. As you can see she's got very thin hair on top. She's 67 years old. Is there anything she can do to help her scalp and hair to recover? 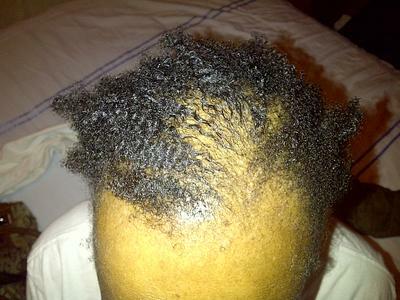 The image you submitted is in a location that central centrifugal scarring alopecia commonly occurs. The only way to give you an accurate diagnosis would be to do a skin biopsy of the scalp. There appears to be some hair growth still present in the area, so treatment can help to save the hair that is still growing as well as potentially salvage hair that in areas that are not scarred.